INVISIBLE-EXPORTS is pleased to announce the first New York solo exhibition of new photographs by Mickey Smith. For centuries, the library was the lifeblood of culture, the central repository of Western intellectual activity. Nowadays, we think of the library as a cemetery, where the written word, as it’s presented in newspapers, magazines and even books, goes to die; where printed matter exits its period of relevance and enters its period of neglect. Mickey Smith is a cultural archeologist and You People is her reclamation project. 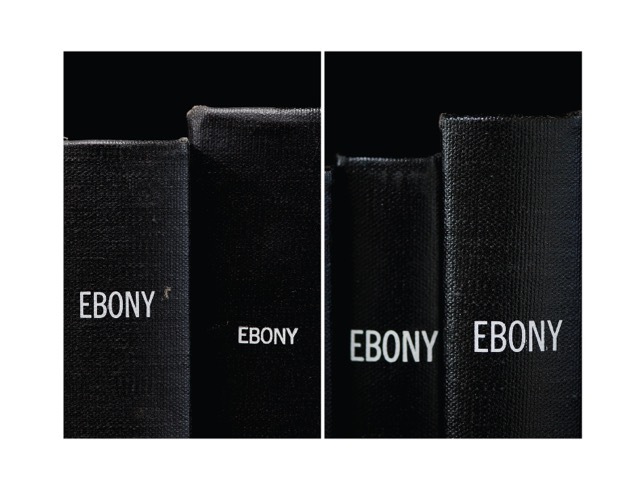 The books and bound periodicals she photographs are a fossil record the 20th century unknowingly left behind. In their own time, these periodicals represented to their readers a concrete and tangible common culture — each reader knowing that there are thousands, perhaps millions, of people around the country reading the very same things — unifying communities of subscribers around shared interests, shared standards and shared identities. But looking at them past their expirations dates has the opposite effect: the publications seem insufficient, the audience for them a universe of disparate and disunited lives, only loosely bound. They become something else, the meaning shifting from their content to the viewer’s own inherited history. In an element of personal archeology, Smith sources her own identity. She regularly tapes the phone conversations she has with her father, known as Big Al, noting the way his words, phrasing and opinions place him in generation and locale, and excerpts from those conversations form the work You People. Mickey Smith is a McKnight Artist Fellow in Photography and has received grants from FORECAST Public Art Affairs and CEC ArtsLink. Currently, her work can be seen at the Center for Photography at Woodstock, in Woodstock, New York, and the Pushkin House as part of the Contemporary Art in Traditional Museums Festival in St. Petersburg, Russia.